As a food company, Campbell’s Soup has utilized their core competencies to target hunger relief and nutrition. They launched the “Healthy Camden Initiative,” a destination goal for Campbell headquarters home in Camden, New Jersey, to reduce hunger and childhood obesity by 50% over 10 years. The strategy has improved school menus & student health by increasing access to fresh foods, nutrition education, and safe places to play and exercise. The company also donated the use of their production line to a local food pantry, helping salvage perishable food donations in jars of peach salsa, the sale of which raised $100,000. Bottom line, utilize your organization’s strengths & resources to drive REAL impact. While companies like Facebook have attracted tons of good press for cash donations like the $100 million Zuckerberg donated to fix schools in Newark, other projects like AT&T’s “Aspire Local High School Initiative Act” has given $100 million to education AND 270,000 volunteer hours to allow students to shadow their employees. Their program supports high schools in decreasing drop out rates and increasing the likelihood of on-time graduation, resulting in more high-impact contributions to the community. Key insight: investing employee time and energy into corporate volunteer campaigns rather than just writing a check can create more community impact and garner meaningful benefits for your organization like boosting employee morale, productivity, skill development and improved public relations. Another example is Intel as they logged an outstanding 1 million hours of volunteer work in 2011 alone! Their employees have served as mentors and science fair judges and the company has launched sustainable service programs like “Intel Involved Matching Grants Program” and “Intel International Science and Engineering Fair.” See how Suzanne Fallender, Intel’s Director of CSR Strategy, describes the benefits of these programs for Intel in her article Why Community Involvement Really Matters Now. Corporate responsibility programs have been known to be a great tool for not only finding great employees but also bringing out the best in talent you already have. 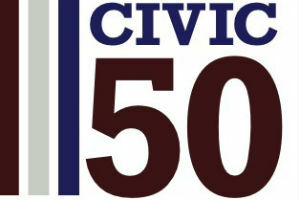 FedEx launched their Global Leadership Corps to provide future corporate leaders with international civic experience. This program, and ones like it, promotes skill development, team building, management training and personal growth among employees who participate. IBM’s Corporate Service Corps is a community service program that doubles as a leadership academy. The Corps has worked to modernize Kenya’s postal service and design online education programs in India. Employees compete for the 500 spots each year and have been know to praise the program for expanding their job performance, skills, and motivation to excel at IBM. Many companies have chosen to champion specific areas of impact. Becoming known as an advocate for a specific cause can generate stronger brand recognition & consumer good will. It’s no secret that customers tend to trust and remain loyal to companies they identify with. 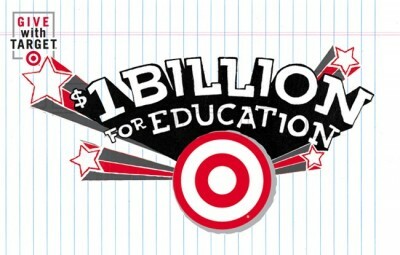 Target has chosen to fight for education, looking to raise $1 billion by 2015 and according to their popular “college acceptance” TV commercial, they’re on track for doing it! Bank of America has launched programs to act fast when disaster strikes, helping to provide relief in crisis. Hasbro is now offering a variety of services to help children. Among their programs are “Good Grief Camps” for children who have lost loved ones in the military. The toy company also sponsors the Hasbro Children’s Hospital, the pediatric division of Rhode Island Hospital and has donated 400,000 toys to underprivileged children. Their “Playathon for Haiti” even raised $117,000 to build 112 shelters for children in Haiti. Most employees aren’t likely to track their impact on their own. Many feel talking about their volunteerism seems braggy, while others simply don’t see how it pertains to their work at all. Southwest Airlines strives to address this problem with their “Tickets for Time” program. Through this program, employees can earn free airline tickets for their favorite charities by documenting their personal volunteer hours. Similarly, Intel has established their “Intel Involved Hero Awards” where they reward employees with a $10,000 grant for their favorite school or non-profit. A service day, week or month is a great way to start building a culture of service for your organization. Morgan Stanley’s volunteer month garnered 40 percent more pro bono services than the average year while Campbell’s “Make a Difference Week” featured 90 volunteer projects across the US and Canada and brought in 4,500 service hours. Campbell’s “Global Community Day” also brought out more than 40,000 employees and their families to work on projects across 78 countries addressing literacy, housing, environmental protection, health care, and disaster relief. Check out the awesome stories, pictures, discussions, and volunteer projects from Starbucks online community where employees have logged over 200,000 hours of community service and notice they are NOT using an internal only platform. An online community platform centered around civic engagement can help your organization increase participation in service, improve story telling, better engage customers/stakeholders and can give you the power to really measure the impact of your initiatives! Give your employees the ability connect with people internally AND externally who share their volunteer interests and passions if you really want to catalyze change and make sure to provide personalized volunteer projects. For 45% of young professionals, simply not being asked is the main reason for not volunteering and for those that do choose to volunteer, a compelling mission & project that aligns with their interests & skills is the greatest motivator. If you have questions, comments, or you’re just looking for advice to enhance your volunteer efforts, don’t hesitate to comment below or email our team, info@altruhelp.com.